Frequent Foursquare users will have a nice surprise waiting for them in the Play Store this morning. 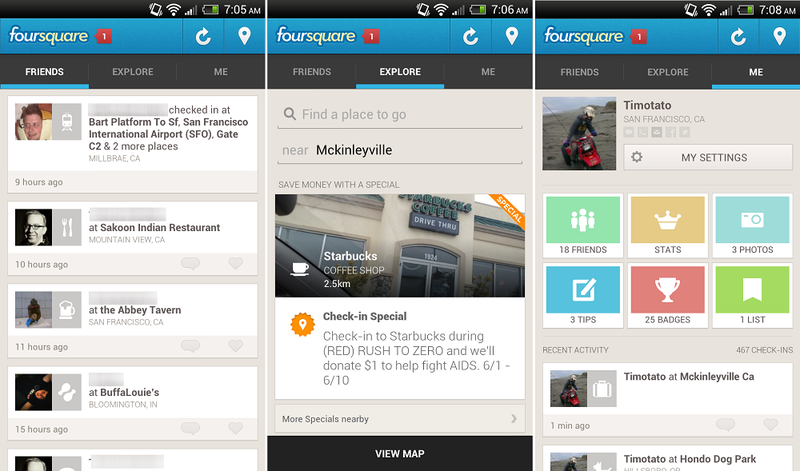 The official overhaul that was planned for Foursquare has gone live and needless to say, it’s legit. There doesn’t seem to be a single part of the app that hasn’t received the face-lift and it now features a perfect mix of visual treats and better ways of finding things to do near your location. Go pick it up and let the check-ins begin!